As you begin to approach the Golden Years, life takes on new challenges. 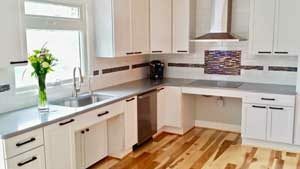 With any remodeling project, it’s important to look at some of the situations you may be facing. Young couples will most likely want to find ways to increase space as their families grow. For older folks, accessibility, function and ease of use take on a more important role in every-day living. 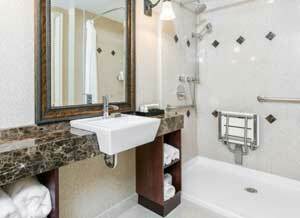 Bathrooms – This is the one area in the home that poses the greatest risk to an elderly person. In fact, stats show that bathroom slips and falls are the top causes of injuries for the elderly. Of those injuries, about 2/3rds happen while a person is bathing or showering. With this in mind, you may want to consider a bathroom remodeling project that incorporates a roll-in shower (or low-threshold shower), toilets that are higher than conventional size, sinks that are lower to allow someone in a wheelchair easy access, single-handle faucets, easily graspable pulls on drawers and cabinet doors along with grab bars (we are talking nice-looking, not industrial). Kitchens – Just like bathrooms, kitchens are another dangerous place in the home. Over the age of 65, falling becomes the leading cause of death in the home, with many slip-and-fall accidents occurring on wet kitchen floors. The kitchen should be located on the ground floor. If it’s on another level, you may want to think about building an addition on the ground level to incorporate a full kitchen. When renovating or building a new kitchen, there should be ample clearance for wheelchair maneuverability. The cabinets should also be installed at a lower height to allow for easier access. When it comes to appliances and sinks, there are plenty of options from which to choose. Flooring – The type of flooring that’s installed in the home should be top priority. It should be non-glare and non-slip (no carpet or throw rugs). Choices like vinyl, wood or linoleum make for the best options. Should you not be able to replace the flooring, you can have a slip prevention texture applied to your existing tile floor. 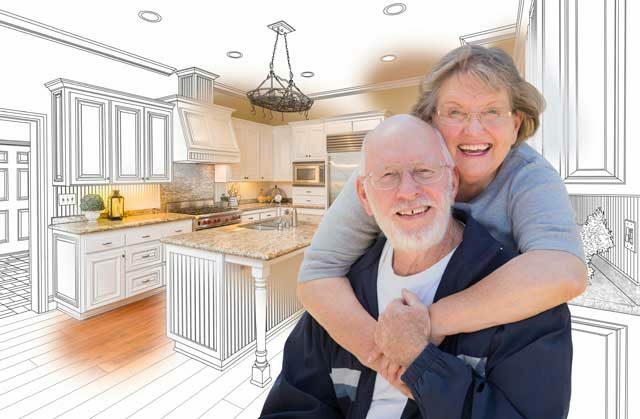 Living Space – The most ideal floor plan for “aging-in-place” is one that’s on a single floor. If you have a bi-level or two-story home, can one of the already-livable rooms on the first floor be transformed into a bedroom with a full bathroom? Is it possible to add on a room? If not, you may want to consider the addition of an extension on your home that includes a bedroom and full bath that are designed with safety and ease-of-use in mind. Unable to add on to your home? Viable options for future access to the upper floors include the installation of ramps, stairlifts or an elevator. 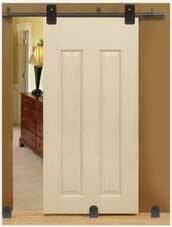 Doors and Hallways – Remember, “aging-in-place” requires planning. No one anticipates being in a wheel chair, but it could happen. That’s why it may be helpful to enlarge doorways and hallways to make sure there will be sufficient room for a wheelchair. Entryway – Like the doors and hallways in your home, it’s a prudent idea to make sure you have an entry way that can easily accommodate a wheelchair. You can do this by expanding the doorway to one that is 36 inches wide. Create at least one no-step entry into your home. If that’s not possible, make sure your entryway has the ability to facilitate a ramp for easier access. Exterior – Changes to the exterior of the home should focus on safety. 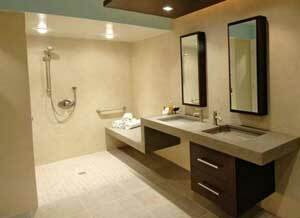 Install appropriate fixtures that provide ample lighting. Make sure walkways and pathways are smooth and clear of shrubbery and other items that can hinder safely walking in and out of the home. Consider the use of railings. Have the threshold to your entryway lowered so that it is one-half inch in height or lower. The entryway should also be roofed to protect you from the elements and the flooring should be covered with a non-slip surface. These 7 items are just a few of the ways you can adapt your home for senior-living. Successfully renovating your home to one that is aging-friendly involves planning. The professionals at Prominent Builders have the knowledge and experience to help you remodel your home so you can enter the next phase of your life in the home you’ve come to love. about your home remodeling project.